When you get to the $500 mark, you move away from dabbling in vinyl and into the world of the serious listener. This is often the dividing line between being enthusiastic and being audiophiliac. 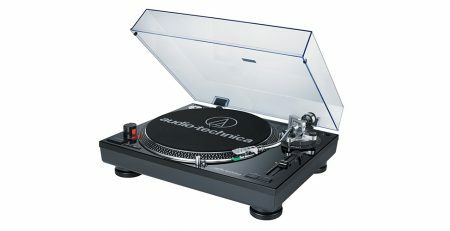 These turntables may actually have fewer features and more purity in terms of design When it comes to these turntables the focus tends to be quality over gimmicks. 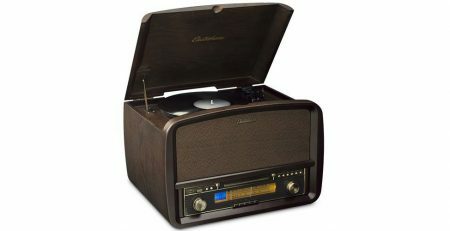 I think the record player that I have chosen as my top pick for the under $500 mark exemplifies that philosophy perfectly and will appeal to this market niche. So let’s have a look at this Debut Carbon from Pro-Ject. Pro-Ject has been around for quite some time. Having been founded in 1990 they are well on their way to hitting their third decade, and in that time they have established themselves as a known name in audiophile circles. The company is based in Austria, but you’ll find licensed distributors all over the world. The company started out as a maker of entry-level reference turntables, and they still do those, but their high-end models are eye-catching and fresh in design. The Debut Carbon DC we’re looking at here can actually go for quite a bit over $500, but at the time I wrote this, the price seemed to have settled under the $500 mark. That’s a good thing, since it means we’re getting a product designed for a higher price-point for less money. Believe it or not, the Debut Carbon DC is actually their mid-range model, with their high-end Xtension 10 Evolution going for an earth-shaking $4000-$5500. The Debut Carbon comes in at least seven colors as far as I can tell, but only the color of the deck itself changes, which makes this black model the only one to have everything color-matched. Personally I think this is the best-looking color scheme, especially for a product called the “Carbon”. In terms of the design I have to admit that I have fallen in love with how this record player has been put together. There are no buttons, sliders, or controls in sight. 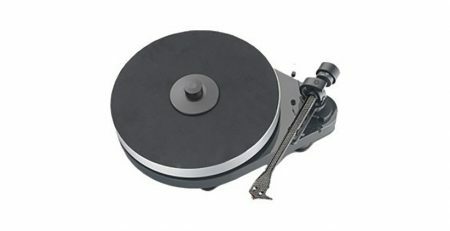 All you can see is the tonearm assembly and the platter itself. I have never seen something quite this elegant. If you look at the system side-on you’ll see that things like the left and right channel outputs have been neatly hidden underneath the deck, keeping them out of sight. One of the most important factors when it comes to the audio quality of a record player comes from the materials that are chosen to actually construct the various parts. The enemy of clean sound comes from vibration, so anything that helps to dampen vibration is good. At the same time those materials have to be strong. That’s why it is such a good choice to make a tonearm out of carbon. It’s a strong material that is nonetheless rigid and light. The downside is, of course, that it is an expensive component to produce. We see other sensible and high-quality material choices elsewhere as well. The main bearing is stainless steel for example. The main platter is heavy, to further add to the damping of resonance. It also has a wider diameter to support more of the record. That means less wow and flutter. This player also uses an innovative suspension mounting for the motor drive, which once again helps cut down on unwanted vibration. It’s called the “sorbothane” motor suspension and all the fancy charts seem to show that this approach creates much less rumble. The magnetic cartridge option that comes with this player is an elliptical diamond style, specifically the Ortofon 2M Red cartridge. This is an audiophile-class cartridge and is a pretty pricey component all by itself. On paper this should make for some great listening. One rather disappointing thing is the fact that there is no 78RPM option, so you won’t be playing any 10-inch records on this puppy. All these careful component and design choices show in the spec sheet for the player. Notably, the signal-to-noise ratio is 68dB, which knocks those cheaper Audio Technica players on their butts. Wow and flutter is cut down to 0.1% and speed drift is a mere 0.8%. You can do better of course, but not for this sort of money. Looking at the feedback of people who own one of these, its very difficult to tease out the right sort of criticism. You see there are two kinds of people who are critiquing the turntable. “True” audiophiles who are looking down their noses at it and people who are coming up from entry-level units. If you were one of these audiophile people already then you wouldn’t need a site like this, so I’m more biased towards listening to the other group’s experiences. 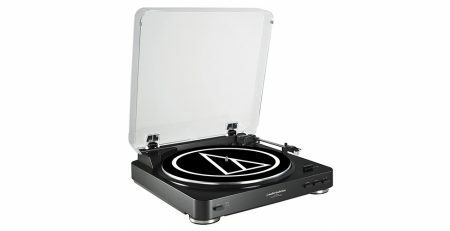 The fact is that if you only have $500 to spend on a turntable this is the one I would tell you to get. The next step up is significantly more cash, but the next step down sounds nothing close to this. Coming with second and third choices was very hard in this price category, since the Debut just seems like such a perfect balance of form and function. What strikes me most is the number of people who are saying that the sound of the Debut is what they imagined when they first thought about getting into vinyl. That warmth and special quality that proponents of the format harp on about is often disappointingly missing from cheap entry-level units. This is where that magic starts to happen and makes people into true believers. The audiophiles may scoff that they can tell this is not a thousand dollar record player, but to that I say “duh”, and the rest of us can get on with our lives, enjoying good music from good machines like this one.